TES Architects has recently joined with Fox Valley Cabinets to redesign the interior of the Masonic Temple in Downtown Naperville, IL. 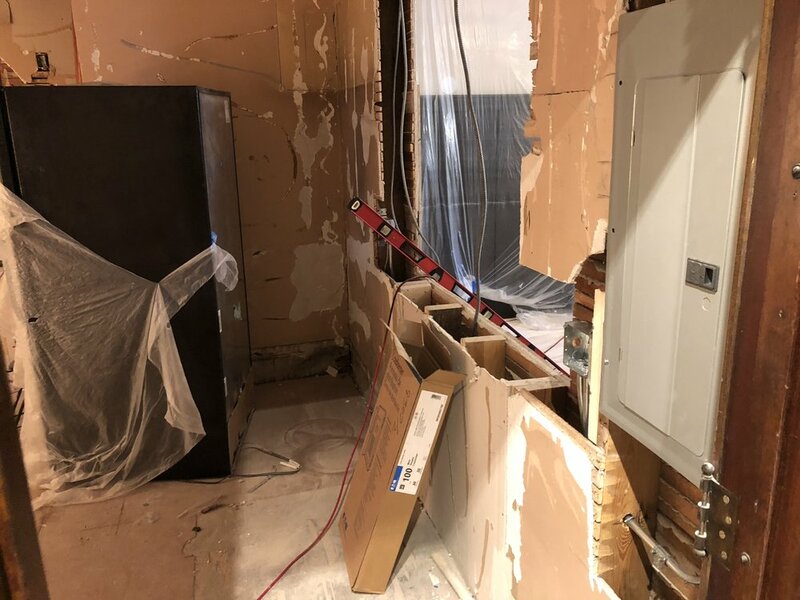 The project consist of renovating the second floor kitchen, new toilet rooms, new ceilings, cabinets, counters, flooring and a host of other finishes. Stay tune for pictures of the completed project in the next few weeks. The domoliton is completed and on to framing and plumbing!